Just as historical accounts in the old Soviet Union under Joseph Stalin would edit out any references to Leon Trotsky, so CBS News is editing out any references to its former news reporter and anchor Dan Rather in its “coverage” of the November 22, 1963 murder of John Kennedy. 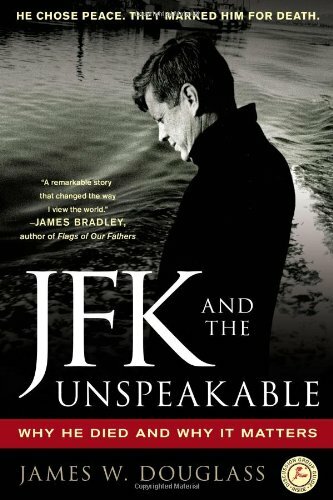 For fifty years Dan Rather has been “Rather Biased” concerning the Kennedy assassination and the Warren Commission cover-up of JFK and the Unspeakabl... James W. Douglass Best Price: $2.13 Buy New $10.87 (as of 09:15 EDT - Details) what took place that day in Dallas. As a Dealey Plaza “eye-witness” to those tragic events, together with his tenacious adherence to the government’s “official story” is what made (and launched) his CBS network news broadcasting career. The “smoking gun” in the cover-up of the assassination is found in CIA Dispatch #1035-960(available online). This was the crucial covert directive to the CIA’s Operation Mockingbirdelite media assets to vigorously denounce critics of the Warren Commission Report as “conspiracy theorists.” This is when that particular derogatory term of denunciation and disinformation entered the national conversation in an attempt to cut off and stifle informed debate on the president’s murder because the path of evidence would lead directly to those elements behind the sinister cover-up. The upcoming CBS line-up of “programing” (sans Dan Rather) will continue their five decades of disinformation, deceit, and duplicity regarding Kennedy’s murder. CBS chairman William Paley, Fred Friendly, and Edward R. Murrow were part of the Agency’s Operation Mockingbird to provide deflection and cover for the CIA’s ‘family jewels’ of the day. CBS News president Sig Mickelson (1954-61) was liaison to the CIA. 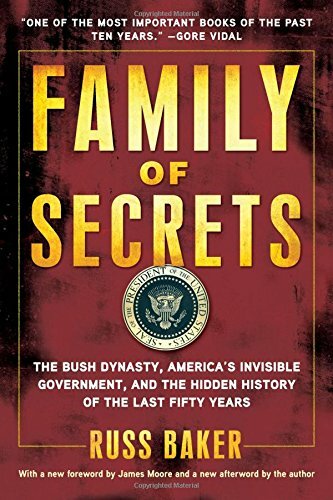 Family of Secrets: The... Russ Baker Best Price: $4.80 Buy New $11.68 (as of 07:45 EDT - Details) Because of his frequent communications, Mickelson even had a direct private phone line installed to the Agency. CBS anchorman Walter Cronkite was a former military intelligence officer also connected within this elite nexus. CIA director Allen Dulles (fired by JFK after the Bay of Pigs disaster and later the key member of the Warren Commission cover-up), CBS chairman William Paley, and CBS board director Senator Prescott Bush were intimate associates in various sociopolitical networks of the northeastern seaboard establishment found in Washington and New York during the days of the early Cold War. Whether they would meet in their elite private clubs, at the Harold Pratt House of the Council on Foreign Relations, or in Wall Street corporate and bank board rooms, these old birds of a feather flocked, connived, schemed, and conspired together. Ironically it was Dan Rather’s reporting on Prescott Bush’s grandson which got him sacked from CBS. Investigative journalist Russ Baker’s superb book, Family of Secrets, vindicated Rather in detailing George Walker Bush’s AWOL absentee record and criminal behavior regarding the National Guard during the Viet Nam War. Baker also illuminated Prescott’s son George Herbert Walker Bush’s curious connections to the unfolding events in Dallas on November 22, 1963. Do Carbs Rot Your Brain?